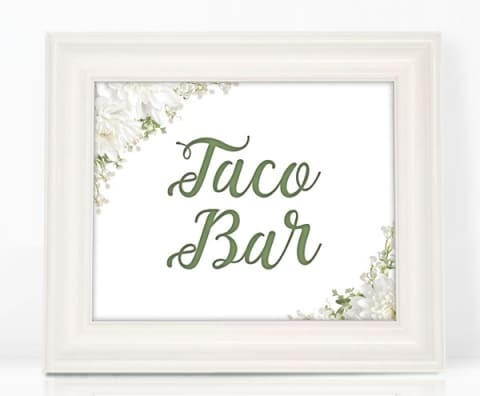 Throwing a taco bar? This sign is 8" x 10" and can be printed on cardstock, or just use plain paper if you'll be putting it in a frame. Other coordinating party signage is also available, or you can download a blank version and add your own text. 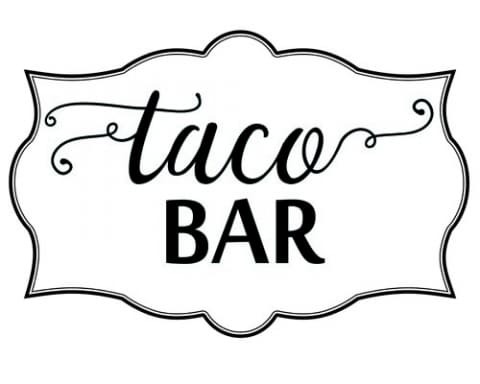 If you need to figure out how much you'll need for your taco bar, visit the folks at Calculate-This.com. They've put together a nifty little Taco Bar Calculator to help you get an idea of how much food you'll need to buy.